HTML5 enables users to have a better and more consistent web experience across several devices. Considering that smart devices of varying screen sizes and resolutions are the number one way that most people now access the web, if you have image-rich content or want to present key text in an interesting and exciting way on your website, then you just can't go wrong by using an HTML5 slider. Because there are such a large number of sliders out there to choose from, I've pulled together, just for you, a list of the 10 best HTML5 sliders for images and text available at CodeCanyon. If you’ve ever seen or used an actual slide carousel, you’ll appreciate the design and aesthetics of the Ultimate 3D Carousel. 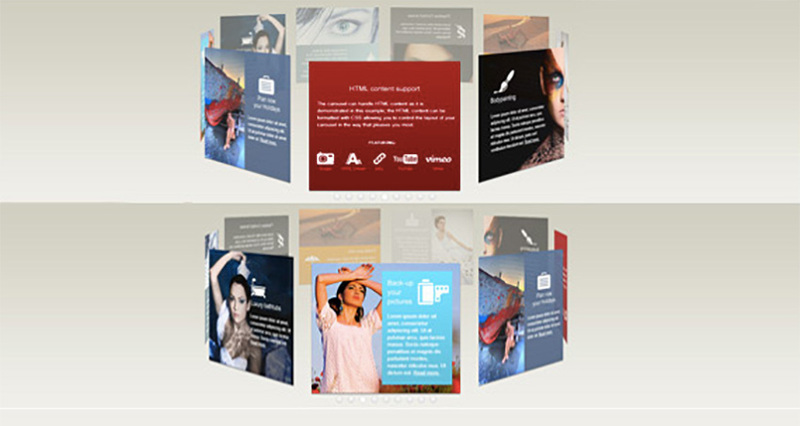 This carousel slider allows you to display multimedia content with a unique 3D layout that mimics the carousels of film photography days. There are a number of effects you can apply to your carousel style if you choose, and if you prefer a more traditional slide effect, you can also opt for that instead of the carousel style. The carousel supports images, MP4 videos, MP3 audio, Google Maps, and more. It runs on all major browsers and uses a responsive layout with auto-scale function so that it works well on all mobile devices. The HTML5 Gallery Slideshow is an excellent choice for showing off your images and text in a slider format. The slideshow’s main selling point is that it is super easy to use. Just add it wherever you want it to appear on your website, and it will adapt its size to the parent container, i.e. the div or other HTML tag. Another great feature is that you can have as many galleries on the same page as you want, each with its unique set of images and settings. The plugin is also easily customisable. You can change the colour theme and modify the buttons and other aspects, in order to integrate it seamlessly into your site. The slideshow has been coded and optimised to run seamlessly on mobile devices as well. 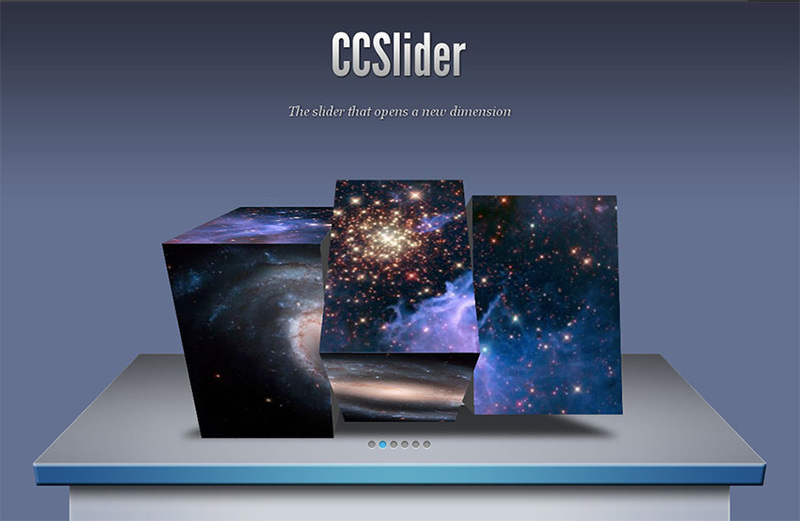 The CCSlider Plugin offers users a number of options of slider styles, each of which can be customised in numerous ways. You have the choice of 14 3D transitions and 16 2D transitions in total, all of which can be programmed to play automatically, manually, or both. Captions can be added to each slide, and they can have animated transitions or none at all. The sliders are fully responsive so they work well on mobile devices and support touch gestures. The HTML5 Fullscreen Gallery was created specifically for showcasing great photographs. The gallery is super easy to incorporate into your existing website and will maintain the correct aspect ratio of all photographs when resizing the browser window. You can add titles and descriptions if you wish, and all colours can be altered via the CSS stylesheet. For those who want music with their sliders, this gallery comes with piano music played via the HTML5 audio tag, which falls back to Flash music player for incompatible browsers. 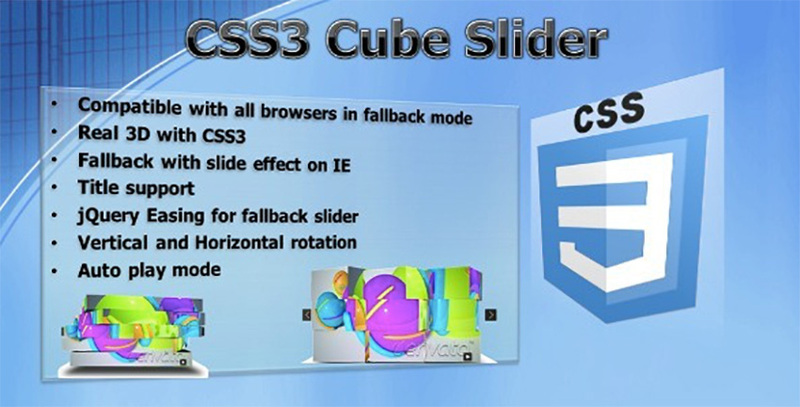 If you’re looking for a slider with a bit of a difference, check out the CSS3 Cube Slider. This slider shows off your images in a gorgeous slider form like the other sliders here, but it does so by transforming your photos into a choice of six cool 3D cubes as they transition. The plugin works best in Chrome, Firefox, and Safari browsers, but if the browser doesn’t support CSS3 then the slider falls back to the standard vertical or horizontal slide transition. The plugin is responsive and will adapt to any screen size for the user’s devices. HTML5 Responsive Slider Gallery is a wonderful tool that image-rich site owners will want to get their hands on to show off their images to their best advantage. You just have to check out the live preview for the HTML5 Responsive Slider Gallery to understand why it’s a bestseller at CodeCanyon. The slider gallery will adapt both height and width to any space that you added it to based on the parent container. It uses a graphics processing unit for peak performance on both your desktop and mobile devices, comes in three different styles, supports multiple galleries on the same page, and is highly customisable. The HTML5 Canvas Carousel gives you another great option to display your images on your website. This 3D photo gallery offers six different options for presenting your images. Features include touch-screen navigation support for mobile, support for PNG, JPEG and GIF image files, ability to set the carousel position, and the possibility of featuring multiple carousels on the same page of your website. The carousel is highly customisable, and all options can be modified inside the XML file. It is optimized for both Android and iOS mobile devices, and the download file comes with a comprehensive help file explaining all configuration tags and installation. 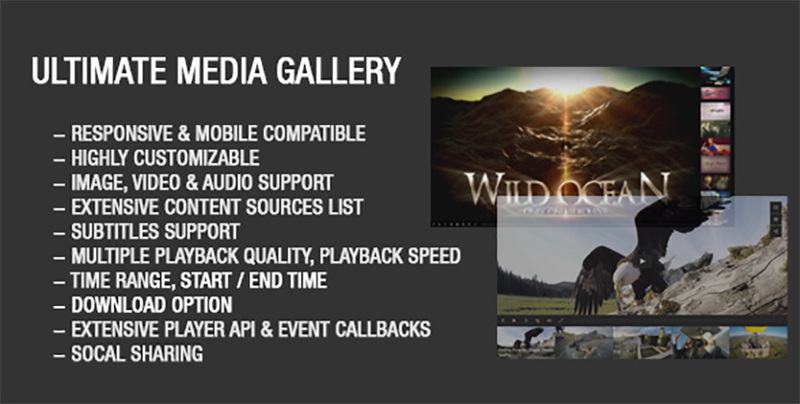 The Ultimate Media Gallery is unique among the sliders in this list, because it can display not just images but video and audio files from a number of external content sources including YouTube, Vimeo, Google Drive media, Podcast, and SoundCloud. This highly customisable gallery is fully responsive and mobile friendly. It takes full advantage of Font Awesome Library icons, and all demo examples are included in the download package for quick and easy setup. 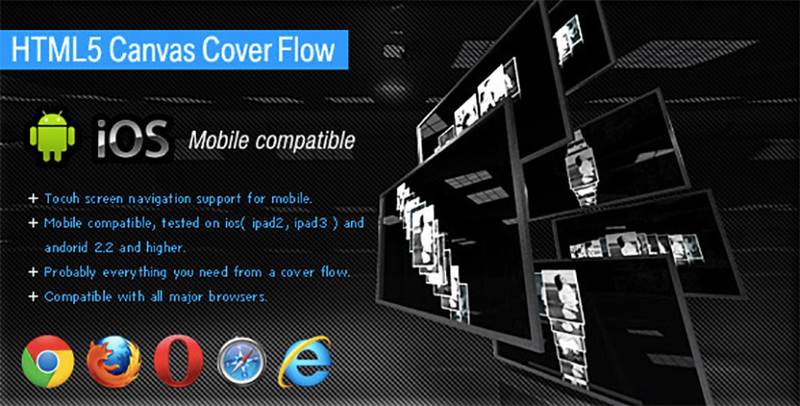 The HTML5 Canvas Cover Flow is a 3D photo gallery that takes its inspiration from the Mac Finder viewer of the same name. The slider has tons of features and allows you to present your images in any way you want: horizontal, vertical, oblique, etc. Alternatively, you can make use of the predefined movements and styles if preferred. In addition, almost every aspect of the slider including colours and graphic elements can be customised to fit your site, and all the options can be easily modified from the configuration XML file, making maintaining the carousel much easier. Optimised for mobile devices, it not only runs on them, but acts like a native app where you can touch, drag, and rotate the controls. A modernist take on the slider, AZEXO Slider is ideal for those who have a minimalist aesthetic and are looking for a clean yet elegant way to display their images. Text can be added over every image, making the slider ideal for presentations that include quotes or important text. 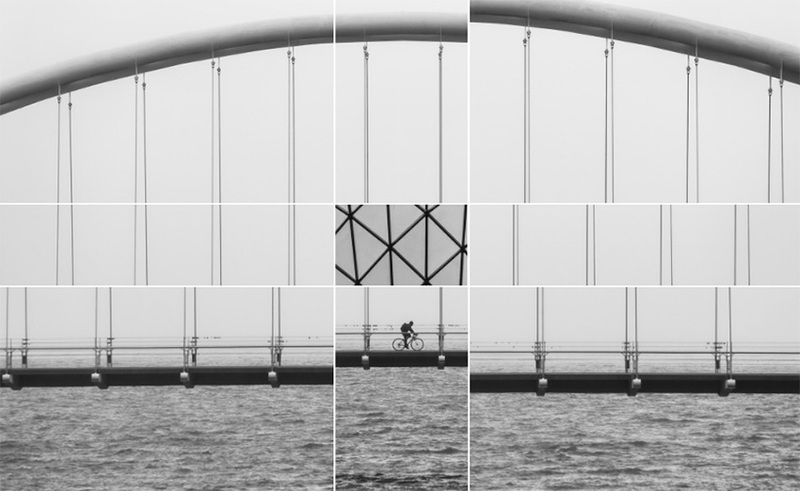 The transition sequence can be customised, and the slider is easy to incorporate into your website with the addition of the “azexo-slider” class to DIVs which contain images. These 10 best HTML5 sliders for images and text are by no means the only ones available at Envato Market. So if you haven’t found anything here that meets your needs, we have plenty of other great options on offer.